“Converging Paths” is on view until March 30, featuring the work of men from Algeria, Nigeria, New York and New Haven. The viewer is encouraged to find the differences and similarities in the works and contemplate the expressions and creations of male artists from diverse backgrounds whose paths converge through their art; compare the varying content and use of color, pattern and flattening of the figure. Fethi Meghelli was born in Algeria. He received his BA in 1967 from the Algerian National School of Fine Arts. In 1974 he got his MFA from the Beaux Arts in Paris, where he received a 5 year scholarship. His artworks, in large and small scale, have been shown in numerous galleries and museums in the U.S. and internationally. His work is in diverse collections, including the Library of Congress. Meghelli says his artwork, drawn from his multicultural background, is based on stories about people and their beauty, dreams, folktales, tragedies and hopes. He uses a number of different media, including paint, printmaking, and assemblage. Robert Leung, who is originally from the Bronx, presents work from a body of work that he calls “The Heart of Man Project,” a seminar that seeks to make men aware of the connection between their feelings and their power. Sculptures and works on paper reflect some of the conflict that men have and the unique ways in which men experience love. Tunde Odunlade has a successful career making and performing music, poetry and visual art. 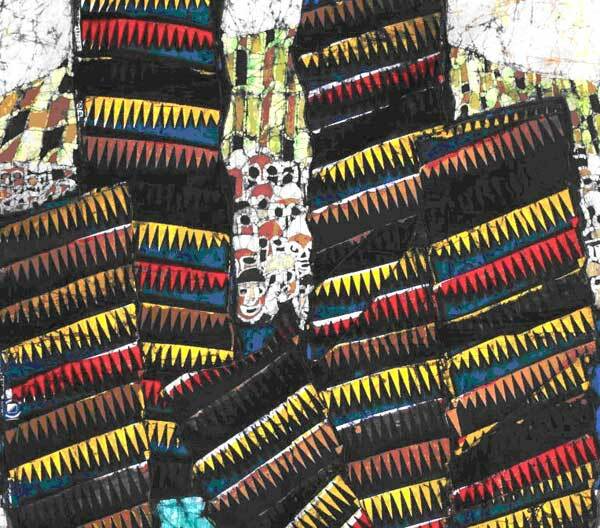 As a print and textile artist, he has exhibited, taught, lectured, studied and traveled extensively within Nigeria and throughout North America and Europe. His work is in the collections of several institutions including the World Bank Headquarters in Washington D.C., the Victoria and Albert Museum in London, the MacArthur Foundation Collection and the State House in Lagos, Nigeria, as well as in the collections of many individuals in the North America, Europe, and Nigeria. He lives in Ibadan, in the southwestern part of Nigeria. marks and applications of color. 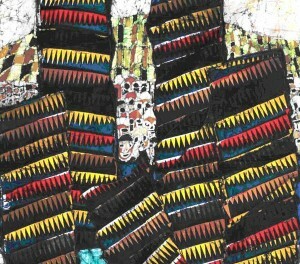 His influences include the ArtBrut of Dubuffet, Basquiat, Francis Bacon, Picasso and African imagery. His work has been exhibited throughout the CT-New York area.